Coloring books are definitely the latest and greatest fad. They are calming and encourage creativity. I, myself have always enjoyed coloring and find it very relaxing. The one problem with the store bought coloring pages is they can be really hard! They take a long time to complete and they can be very intricate. That being said, I have created some pages with bolder lines, larger spaces and just generally easier to finish. 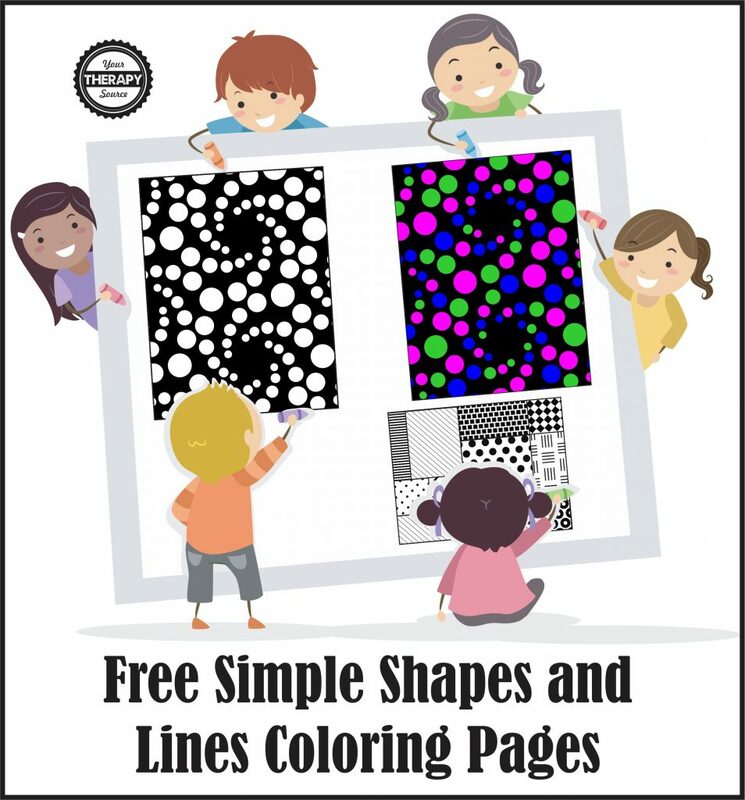 Here are two free sample pages from the Simple Lines, Shapes and Design Coloring Pages download. Practice prewriting strokes and shapes with these coloring pages. The children can simply color in the different lines and shapes using crayons, markers or paints. The dark black background helps the children to see how to stay within the lines or shapes. If mistakes are made, the errors are not as noticeable so it may help to decrease frustration in children who have difficulty coloring. Compared to traditional coloring pages that you find in the stores, these patterns will be completed much faster and are not nearly as intricate. Download your free sample Simple Lines and Shapes coloring pages at Your Therapy Source. Download a free penguin coloring page. If you want some more free coloring pages check out the OT, PT, Speech and Recreation Therapist coloring pages. 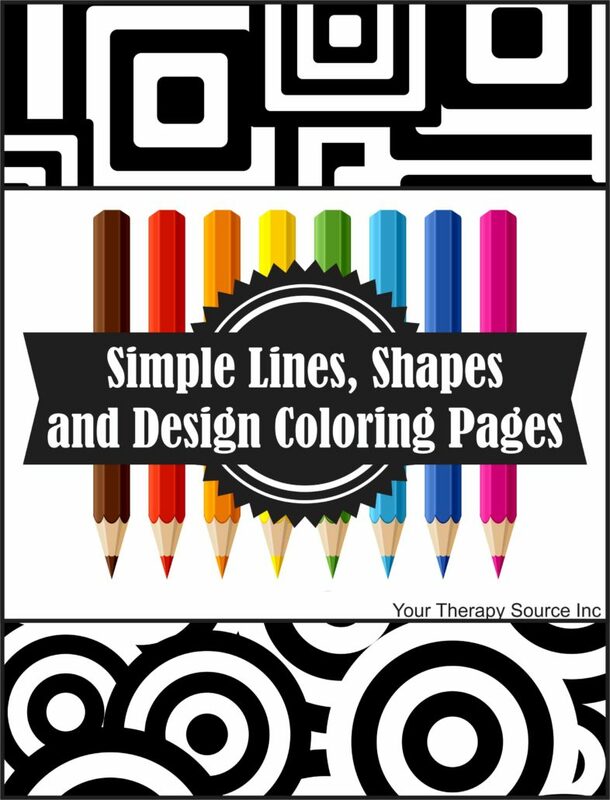 Simple Lines, Shapes and Design Coloring Pages – This download is a collection of pre-writing and drawing visual motor worksheets. Practice coloring horizontal lines, vertical lines, curved lines, diagonal lines, zig zags, circles, crosses, squares, rectangles, X’s, triangles, diamonds, ovals, hearts and various combined designs. There are 40 coloring page in total.